PRESS RELEASE! – InforData Consulting selected as a Supplier to the Government’s G-Cloud 7 Programme. InforData Consulting has been selected as a supplier to the Government’s G-Cloud 7 Programme, to deliver a Data Quality-Software as a Service (SaaS) solution. 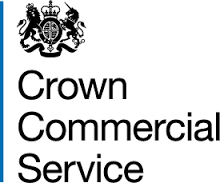 The UK Government’s G-Cloud 7 Programme is an initiative aimed at easing procurement, by public sector bodies, for information technology services that use cloud computing. InforData Consulting was selected as a partner because of their distinctive Data Quality service that’s fused with a robust Data Governance framework. Through the delivery of a Data Quality – SaaS solution, InforData Consulting will ensure organisations gain access to accurate, consistent, and complete data. The delivery forms part of InforData Consulting’s Data Management capabilities that include data governance, data integration, master data management, and data migration. For more information please contact Ike Ononogbu, Consulting Director on 0207 190 2860, or email iononogbu@infordataconsulting.com. Alternatively, visit us at 4 Lombard Street, London, EC3V 9HD, or visit our website www.infordataconsulting.com.